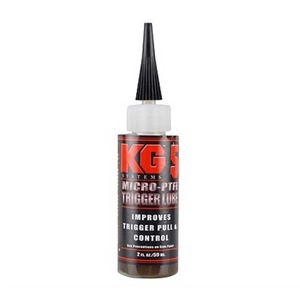 KG KG-5 Trigger Lube. KG-5 Trigger Lube is formulated specifically for trigger mechanisms and provides excellent lubrication and corrosion protection. 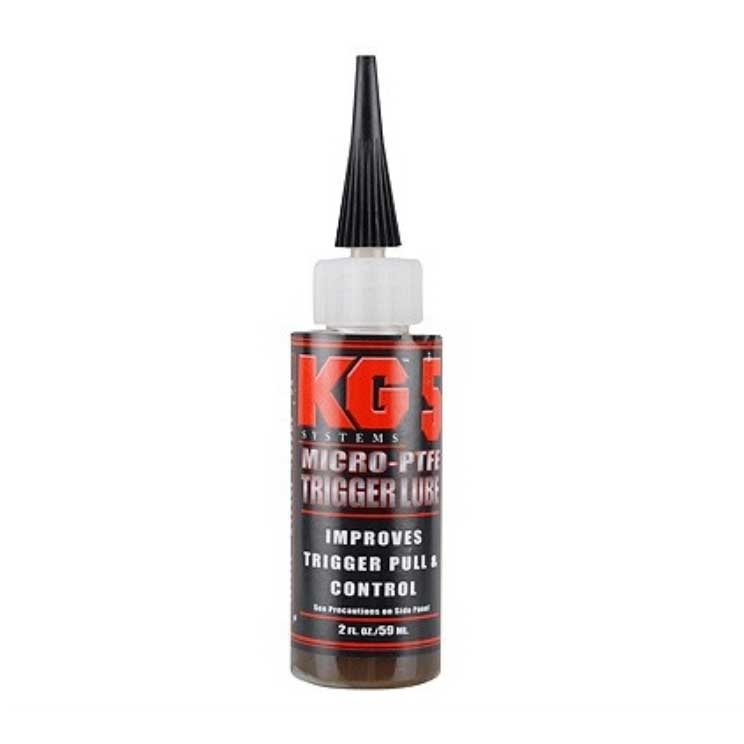 KG-5 Trigger Lube is formulated specifically for trigger mechanisms. It is a blend of the finest lubricants available, including P.T.F.E. KG-5 provides excellent lubrication and corrosion protection. KG-5 will keep trigger pulls even and smooth and has been field tested by Military and Police personnel, and has proven itself to be a superior product.